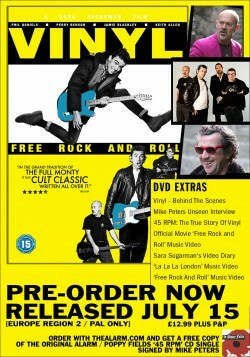 After a swathe of excellent Britsh media reviews ‘Vinyl – The Movie’ is to be released in Europe on DVD this July 15th 2013. 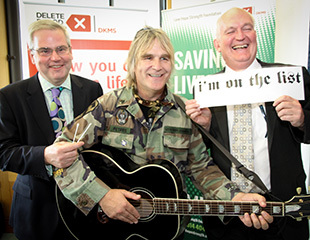 Pre-order your copy in advance with MPO and receive a ‘Signed by Mike Peters’ edition of the original CD single that started it all – ’45 RPM’ by The Poppy Fields (aka The Alarm in disguise). 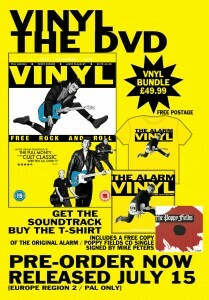 An Vinyl Bundle Package is also available that will include all of the above plus a Vinyl Tour T-shirt and The Alarm’s award winning ‘Vinyl’ soundtrack album. Bundle priced £49.99 plus free postage (which represents a considerable saving on the price of the individual items). 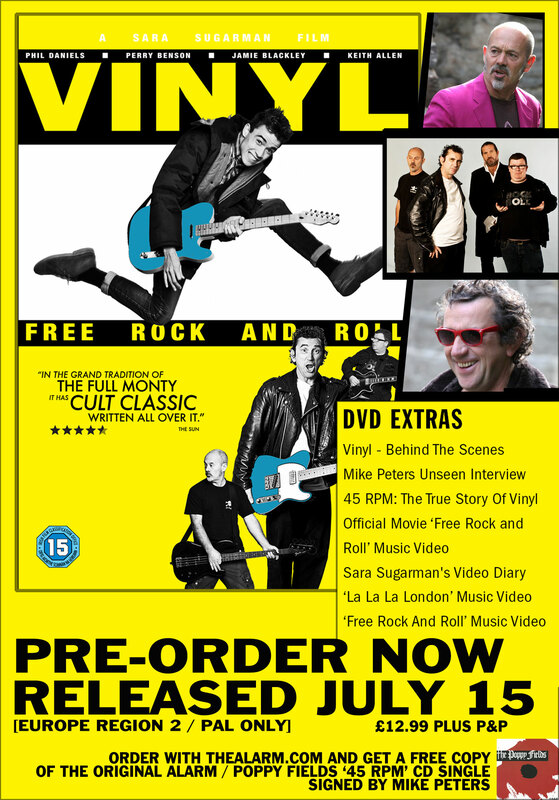 Based on the story of Mike Peters’ true rock and roll hoax of 2004, VINYL tells how a group of washed-up rockers hoodwinked top record labels, radio DJs, and the entire rock music world by releasing a pop punk single under a fictitious teenage band’s name….…now they just need to teach this rowdy bunch of kids what true punk spirit is all about! In Sara Sugarman’s VINYL, much-loved British icons Phil Daniels (Quadrophenia) and Keith Allen (Trainspotting) return to the big screen, supported by a sensational young cast, with charismatic newcomer Jamie Blackley (Snow White and the Huntsman, London Boulevard) delivering a standout performance that’s sure to mark him out as one to watch in the future. After a booze-fuelled jam session, Johnny Jones (Phil Daniels) and his old band-mates from the once revered The Weapons of Happiness come up with a gem of a pop punk single. The problem is that no one is interested in re-signing a bunch of aging rock stars. But Johnny’s not one to quit easily. And he has a plan – a hoax that will reveal the sham that the music industry has become. Johnny and his band-mates assemble a talent-less bunch of teenagers to be the face of their new single. Holed up in a house in North Wales, The Weapons of Happiness teach these young upstarts how to talk the talk and walk the walk before un-leashing them and their single upon the nation.